Our Eyes & Eyelids are Very Sensitive to too much Heat, Light, Dust, Stress & many other Environmental Factors . Due to Modern lifestyle like using computer, driving, welding, studying, watching TV and work over load gives lot of stress to our eyes. makes your eyes very tired. 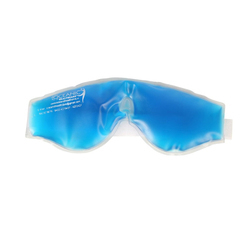 So, Cooling Gel Eye Mask can be the perfect way to relax & rejuvenate your eyes. 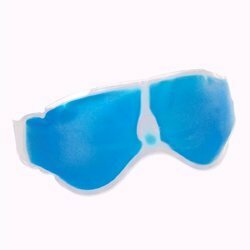 This Reusable Cooling Gel Eye Mask can be kept in the refrigerator (for cold therapy) or in to the warm water (for hot therapy) now it is ready to use. Take a break, relax & feel how the cool or warm gel eye mask takes away the eye strain, wrinkles, redness in eye and worries of the day. For Cold Therapy: Keep gel eye mask in refrigerator for 15-30 minutes, before use it. If the temperature is too low, wrap a thin towel around the mask before using. 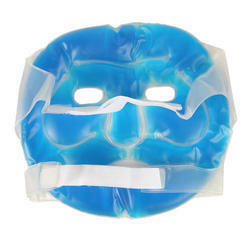 Reusable Cooling Gel Face Mask Our Faces Skin is Very Sensitive to too much Heat, Light, Dust. Due to Modern lifestyle like using computer, driving, welding, studying, watching TV and work over load gives lot of stress to our face Makes your face very tired. So, Cooling Gel Face Mask can be the perfect way to relax rejuvenate your face. This Reusable Cooling Gel Face Mask can be kept in the refrigerator (for cold therapy) or in to the warm water (for hot therapy) now it is ready to use. Take a break, relax feel how the cool or warm gel face mask takes away the face strain, wrinkles, redness in eyes and worries of the day. This mask can be used either hot or cold. Hot therapy relieves and relaxes. Dip in hot water and use it for hot therapy. Helps to reduce the nasal congestion and relieves soreness. Cold therapy soothes and refreshes. Refrigerant and use it for cold therapy. It takes the hurt and reduces swelling after an eye brow threading. Place it over your forehead for fever. You can remove dark circle by applying COOL AND HOT MASSAGE method for 20 days. Dip a clean handkerchief in the bearable hot water, squeeze the handkerchief to remove the water, then massage with it on your eyes. When handkerchief get colder then repeat the same process. 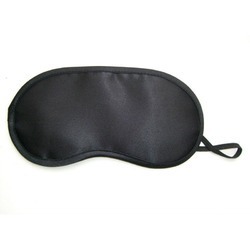 Massage your eyes for 5 minutes and immediately apply chilled eye mask for 5 minutes around your eyes. Perform the same for twice a day. With in 10 days you can see the positive sign and with in 20 days you will make your eyes more younger and sightful. Keep in Fridge or cool place for 20-30 minutes (do not freeze the eye mask). Place it on eyes for 10 to 15 minutes and relax. Do not place near the fire. Ultra comfort fit design. Ideal for Home and travel. Encourages a restful sleep and leaves you and your eyes feeling refreshed and stress free. Completely Blocks out Ambient light without touching your eyes.